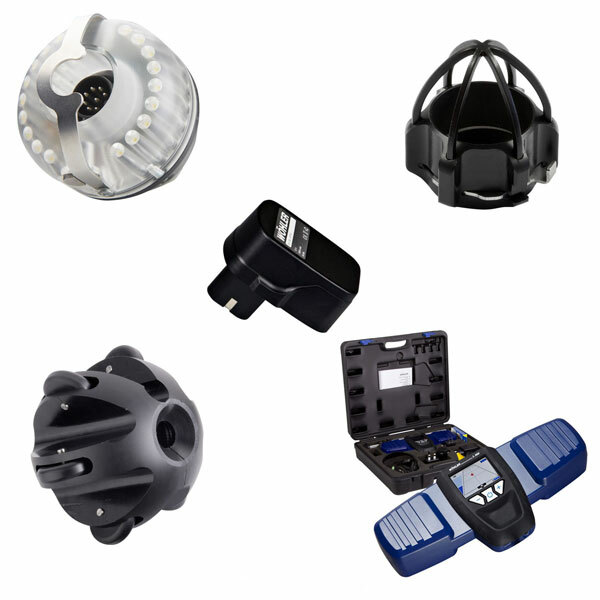 We offer a comprehensive range of Wohler replacement accessories and spare parts for your existing video inspection systems. Replacement 40mm Diameter Pan & Tilt Colour Camer.. Replacement 40mm Diameter Pan & Tilt Colour Camera Head for VIS350 Kits.. Replacement 40mm Camera Head domes for Wohler Pan..
Wöhler Battery 12 V NiMh 2600 mAh VIS 2xx / ..
Wöhler Battery 12 V NiMh 2600 mAh VIS 2xx / VIS 3xx operation time: 120 min.. Replacement 51mm Diameter Pan & Tilt Colour Camer.. Camera Head Protector for 26mm Colour Camera Head..